There are a lot of words we can write about the Mazda CX-3, but they won’t ever do it the kind of justice it deserves. 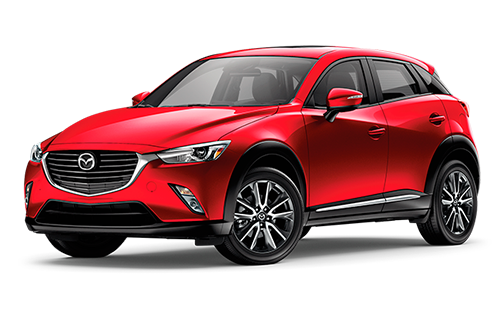 At the risk of putting too fine a point on it, if you already searching for ‘Mazda CX-3s near New Hamburg’ then you should definitely just skip this step and come in and give it a test drive, that might be the best way to truly express what makes this car so great. Clearly, you’ve already been wooed by its strongest feature: its incredible look and design. Interesting fact, the prototype for its unique shape was handcrafted from clay! There is artistry here that so few vehicles are owning up to, and we just think that if you see this car in action then there won’t be a lot to talk about. We can try to sell you on its dedication to safety, its G-Vectoring Control system that exists just to keep you comfortable during frequent steering corrections, it’s just why bother when what we could do instead is show you at 115 Northfield Dr W. in Waterloo, or you could give us a call first at (519) 746-2777 to book your spot. Form! Have You Met Our Good Friend, Function? What is incredible about the Mazda CX-3 is that you’ve never really seen anything like it. Yes, of course, there are other cars in similar veins, but there is something about the sleek, artisanally crafted, design that puts the CX-3 in a category all its own. Add in luxuries like a versatile and available roof rack, and signature Soul Red Crystal Metallic colouring, and suddenly your CX-3 is more than just a commute machine, it’s poetry in motion. Find your next CX-3 at our dealership near New Hamburg today! As cultured and refined as the exterior is the interior matches and sometimes surpasses it. The available front and rear rain-sensing windshield wipers along with standard rearview cameras and the push button ignition all build up to a vehicle that feels like it was designed for a more civilized age. Under the hood sophisticated Skyactiv-Vehicle Dynamics and G-Vectoring Control work in tandem to provide you with a more comfortable and in control driving experience every time you sit down at the wheel. We promise, you’ve never driven anything quite like it, and you may never want to go back. Interested? Visit us near New Hamburg today! The Mazda CX-3 comes with an available array of high tech safety features including Smart City Brake Support – which will prime and even pump the brakes for you under certain city speed conditions. It even has an available Traffic Sign Recognition System which catches signs as they pass by and moves the information to the console, so you can know if this is a school zone without taking your eyes off the road. You might be thinking that this sounds like science fiction, but as it turns out, with the CX-3, it’s just science. If you are looking for a brand-new Mazda CX-3, then there is really only one place to go in nearly all of Ontario: Forbes Waterloo Mazda. We’re just a short drive from New Hamburg, and with a selection that won’t be beat and staff that are knowledgeable and friendly, we are worth the trip in. We aren’t just Mazda salespeople, we are enthusiasts and Mazda owners who aren’t just looking to make a sale, but become your dealership for life.